UK Research and Innovation (UKRI) has been formally launched in India with a series of events highlighting the long-standing and successful history of collaboration between India and the UK. The Together for Impact event in New Delhi today celebrated the impact of a decade-long partnership of research and innovation collaboration. 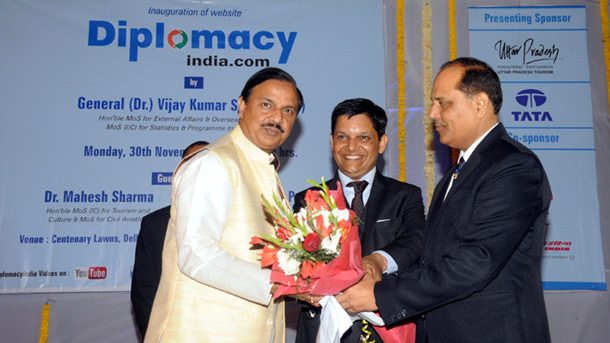 It was attended by over 250 senior government officials, academics, policy makers, and businesses from both nations. In the ten years since UK Research Councils first set up a presence in India, more than £300 million (₹2,800 crore) has been co-invested in collaborative projects covering the full spectrum of research and innovation, from arts to astronomy. In that period, the UK has risen from fourth to second place among India’s international research collaborators. The day’s panel discussions focused on the benefits of working together, the ways to maximise impact and the future opportunities and challenges for both sides as responsible global leaders to push the frontiers of human understanding and to use new knowledge to address societal challenges locally and globally. The celebration ended with an evening reception hosted by British High Commissioner to India Sir Dominic Asquith, who welcomed the creation of UKRI and the successful history of research collaboration between the UK and India to date. The success of India-UK research and innovation collaboration was celebrated with the release of an animation film showcasing new solutions, partnerships and products being developed by joint research teams that help address development challenges.